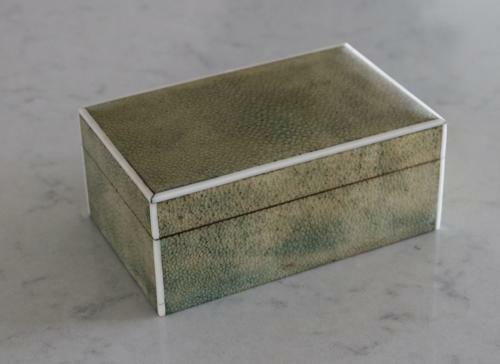 Early 20th Century Art Deco green shagreen box with ivory edging. Hinged lid and cedarwood interior. Very small repair to the ivory edging.